Lincoln Road Mall Mobile App puts a personal assistant in your hands. Restaurants, bars, clubs, banks, hotels, and entertainment options. 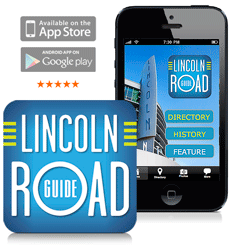 Lincoln Road Mall App is not associated with the City of Miami each.